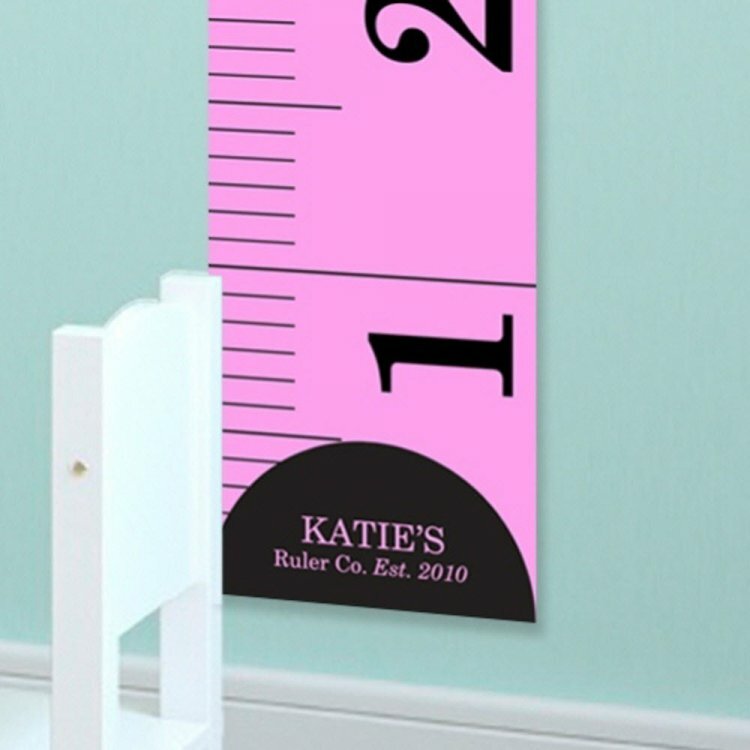 This sweet girl’s tape measure personalized canvas growth chart is stylish and fun. Designed to look like a large pink tape measure, it features a tab on the bottom. The kid’s stylish height chart measures growth from 24 to 60 inches and comes ready to hang for the perfect personalized gift. Customize with a line of text up to 10 characters for your child’s first or last name.